You asked us, "Are humans the only animals who use the stars to navigate?" For thousands of years, humans have been looking to the heavens for help with directions. It turns out, all that time, we weren't alone in looking up -- some birds and even seals have been shown to use the stars for navigation. And now, new research has added one more lofty animal to the group. Wait for it . . . the dung beetle. Apparently dung piles are kind of like war zones with thousands of beetles vying for their share of the spoils. So it's pretty important that the African ball-rolling species be able to quickly escape with its loot. Now, during the day, the beetles can use the sun to help them walk a straight line. And at night, the moon comes in handy. But why, you ask? That's when those relentless rollers turn to the stars for help. Humans, birds and seals all use a single star -- a lodestar -- to show them the way, but the dung beetle's eyes aren't sensitive enough. So instead, they use the Milky Way. This bright band helps them walk a straight line out of the dung heap and -- as sure as night is dark -- away from the competition. On a good day -- or, night -- a single beetle can move about 250 times its own weight in poop, recycling a whole lot of nutrients back into the soil. It kind of makes you wonder what'll happen if all the stars become obscured by light pollution and dung beetles start to lose their way. We'll probably be up to our necks in it. Literally. I've never heard that dung beetles followed the Milky Way before. I knew that birds and humans as well as marine life used the stars to navigate, but I never knew that dung beetles did that. It's weird how they fight over animal dung. I've never heard of an animal fighting over another animal's poop. This is a very interesting topic. I didn't know other species besides us used the stars to navigate. Especially beetles with them being so small is amazing. The amount they poop though is disgusting. I am not surprised that other animals (and bugs) use the stars. A lot of other species are possibly better than us when it comes to using the stars. It's interesting to see light pollution affecting something as small as a dung beetle. Who knows what else human activities can have affect on? That's pretty crazy to think other animals are smart enough to use the stars as navigation. After you really think about it though it isn't that surprising because humans and animals and we use the stars, so why wouldn't other animals do the same. What's really surprising is that the Dung Beetle uses the stars. I'm surprised by that because they are such a small creature that it makes me wonder how they can even see the stars. To think that something so small and forgotten can show such signs of intelligence. It's astonishing. How do you use the sun for navigation, the answer is pretty simple. See as humans got more advanced, we ended up realizing that if there was a specific place that we passed multiple times, we would instinctively follow that path. Yet without the sun, it would very difficult to locate an object or objective area to go to, without some sort of thing to view the world with (a.k.a. The Sun). Not to mention, the sun also corresponds with the navigational directions (North, South, East, West). Sun rises in the East and sets in the West, simple right? And if you know the time of day, you know which direction your are going. 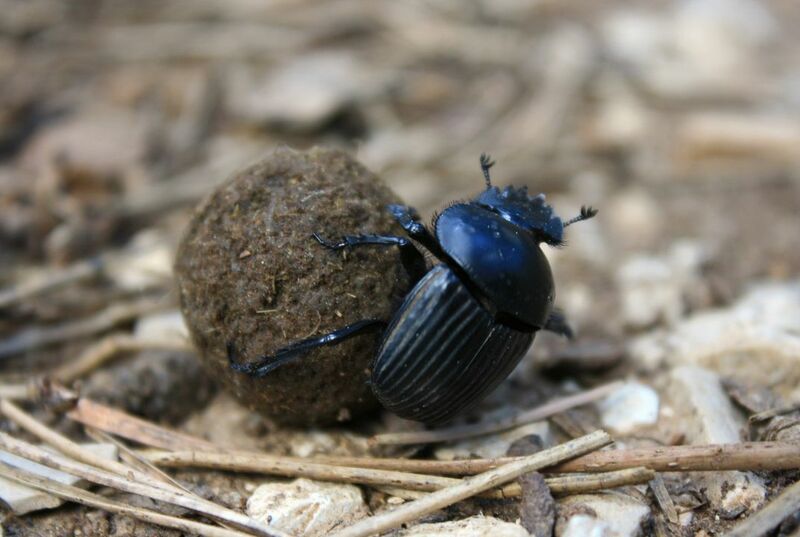 I always thought that Dung Beetles were just pesky bugs and just annoyed everyone. The fact that they use the stars and they help to remove waist, I don't think I can hate them as much anymore. The sun is used to navigate because it rises in the east and falls in the west. Depending on where the sun is in the sky, one can use it to predict what direction they're going. I never knew beetles used the stars to navigate. I feel like they're to tiny to even do that, to look at the stars. This is super interesting. Research has found that other animals use the stars to navigate as well. 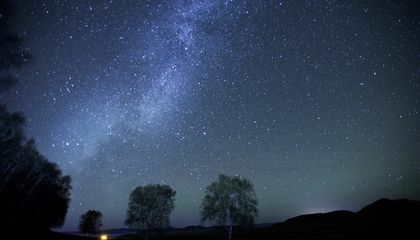 I think it is cool that we can find that other animals can use the stars to navigate and it shows the intelligence that many other species on earth have. While we usually associate intelligence with monkeys and dolphins, it can also come in the form of dung beetles and birds. I think it also leaves a question of how other animals can use their environment to help them navigate and do things we don't even know about. This is why it is important to keep pollution down as much as possible so that animals can continue to use the clear sky to navigate and use their environment.